Incepted in the year 1996 Sanghvi Steel Corporation is a renowned organization of India. We are recognized as one of the leading company for offering stainless steel products. 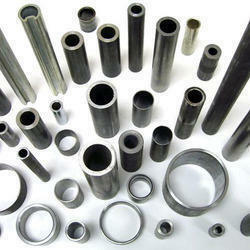 Our product range includes Stainless Steel Bar, Stainless Steel Pipes, Stainless Steel Tubes and many more. All of our products are known for their corrosion resistance, efficiency and durability. We use only the first class raw material to prepare our offered products. Our products are packed with the best suited material to ensure safe transportation. 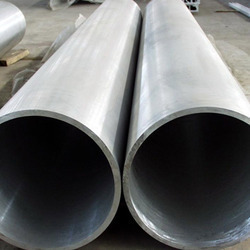 These products are prepared utilizing the optimum quality material and ultra-modern techniques in compliance with the predefined quality standards. The entire assortment of these products is checked over the grounds of certain quality parameters to deliver defect-free range to the clients. We are constantly working to understand the needs and requirements of our clients. We always execute critical orders which are as per the customer demands. We also have an efficient team that take care of all logistic requirements right from order placing to order delivery. Facilitated with world-class fabrication unit, we are geared up to meet the competitive demands of the clients. Today, we are counted as one of the trusted names for providing defect-free and premium quality products that can actually enhance our clients' business. SANGHVI STEEL CORPORATION, an ISO company, is a leading manufacturer of Stainless Steel , Duplex Steel ,Nickel and Nickel based specialty alloys in wire, strip and ribbon forms. Headquartered in Delhi, India, SSC boasts of a state-of-the-art manufacturing facility producing a wide range of World Class products, at competitive prices to cater to the diverse and continuously changing needs of its customers. SSC has sales in more than 40 countries across the world and aims at continuously expanding its bandwidth by adding new regions and customers. SSC has invested heavily in product development and process innovation to create its leading position in the niche-field of Nickel based alloys. SSC manufacturing unit possesses a fully integrated production infrastructure starting from melting of virgin raw materials to final packaging stage; lead by a highly qualified team of engineers, supervisors and operators. With its vision to become the ‘Best in Class’, the quality control and R&D team at SSC ensures that products and processes meet the best standards of the industry. SSC supports all its clients with an efficient logistic process to ensure in-time delivery of their ordered products and services. Annealed pickled hydrotested products !